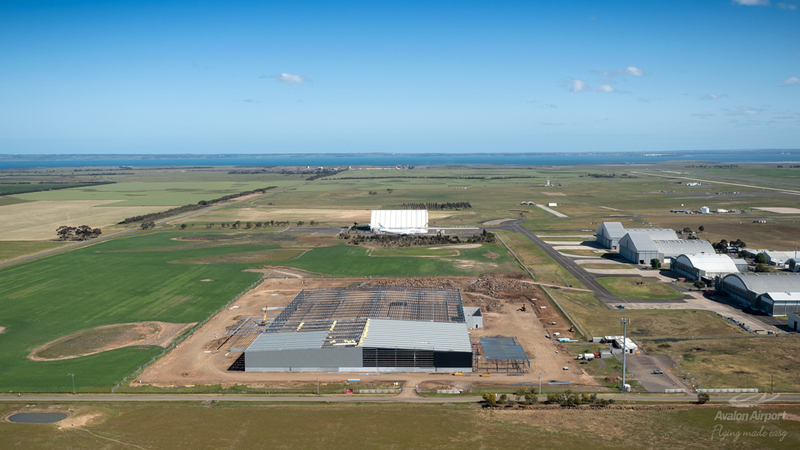 Located just off the M1 between Melbourne and Geelong, next to Australia’s fastest growing population centres, Avalon Airport’s recently launched Industrial Precinct offers a great opportunity to new or expanding companies. Avalon Airport has kicked off development with the construction of a large 35,000 square metre distribution centre. Retail giant Cotton On Group has committed to a long term lease of the facility which is expected to be open mid 2018. Cotton On Group forecasts the new facility will have the capacity to process 300,000 products per day, as opposed to the 130,000 capability in the existing centre. While the curfew free airport is so close to Melbourne CBD, the precinct still has the advantage of flexibility of available space. The benefits for any business functioning in a secure environment with great access to a passenger terminal and freight capabilities are clear. The airport’s 3048 metre long runway is capable of handling the largest aircraft, and has just undergone a substantial upgrade. In 2016 Avalon’s airfreight operations increased by almost 50%. Jetstar is in its 13th year at Avalon and has re-committed until at least 2025, with flights expanding over the past couple of years. The Industrial Precinct has come off the back of the Masterplan, approved by the Commonwealth Government in 2015, effectively allowing for the diversification of the airport’s existing industries with international passenger operations, retail, warehousing, and office accommodation. In August 2016 Victorian Premier Daniel Andrews announced the establishment of the Avalon Airport Industrial Precinct with the delivery of high voltage electricity, gas, water, fibre optics and communications infrastructure. Weeks later an announcement was made at Cotton On North Geelong headquarters; Linfox had entered a long term agreement to establish a 35,000 square metre distribution centre with Cotton On Group. The location, operational capability, security and surrounding population growth are combining to create significant opportunity. Discover how Avalon Airport can assist your business expansion.